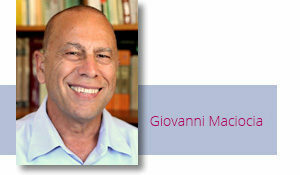 In the previous Clinical Tip I discussed the clinical application of the Cosmological sequence of the 5 Elements, i.e. 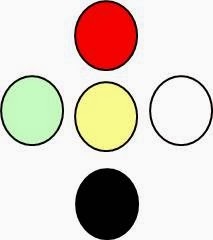 the one placing the 5 Elements in the form of a cross. I concentrated on the “vertical” relationship between Fire and Water and between Heart and Kidneys. In this Clinical Tip, I will discuss the clinical significance of the Earth being in the Centre and of Wood and Metal being on left and right respectively. 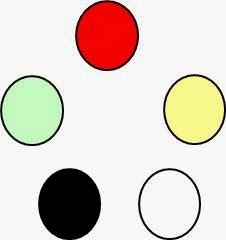 The placing of the Earth in the Centre of the Cosmological sequence of the 5 Elements is crucial. The Earth is in the Centre in a cosmological and a clinical sense. The four Elements of Fire, Water, Wood and Metal are placed along a square with Fire at the top (South), Water at the bottom (North), Wood on the left (East) and Metal on the right (West). The square has a centre that is the point of reference which pertains to Earth. There can only be a “top”, “bottom”, “left” and “right” in reference to a centre. The placing of the Earth in the centre is completely lost in the Sheng cycle of the 5 Elements where Earth is in between Fire and Metal. As we saw in the previous Clinical Tip, the Sheng and Ke cycle (introduced by Zou Yan) has a strong political significance. From a clinical perspective, placing the Earth in the centre has many applications. First of all, the Spleen is the origin of Post-natal Qi and Blood and, as such, it nourishes all the other organs. It therefore make sense for Earth to be in the centre.From the point of view of Qi movement, Stomach and Spleen are in the centre in another sense and that is being in the Middle Burner between the Upper Burner above and the Lower Burner below. Every organ’s Qi has a certain direction of movement. 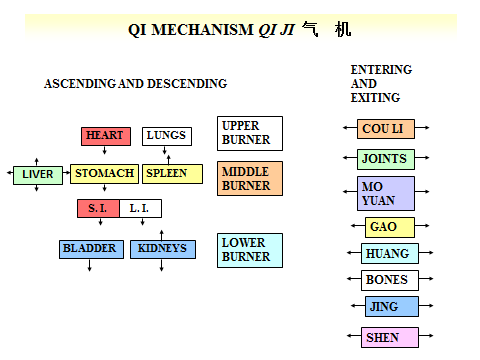 For example, Heart-Qi and Lung-Qi descend and Kidney-Qi descends. The Stomach and Spleen are in the middle and their Qi movement influences all other Qi movements. Stomach-Qi descends and Spleen-Qi ascends: all the other organs depend partially on these two movements of Stomach-Qi and Spleen-Qi. If Qi movement is disrupted in the middle, it will affect the upper and lower Burners. From a clinical perspective, tonifying the Stomach and Spleen tonifies the Centre and therefore all the other organs too. To do this, I use ST-36 Zusanli and SP-6 Sanyinjiao usually with moxa on the needle. This is a very simple and extremely effective treatment that tonifies Stomach and Spleen and Qi and Blood of all organs. The following is an article from the Journal of Chinese Medicine (Zhong Yi Za Zhi) from Beijing. Before reading this article, I should explain the meaning of “Qi Mechanism” [Qi Ji ]. The Qi Mechanism is a term that includes the ascending-descending and entering-exiting of Qi. In every organ and every part of the body, Qi ascends or descends: this is an essential aspect of the physiology of every organ. 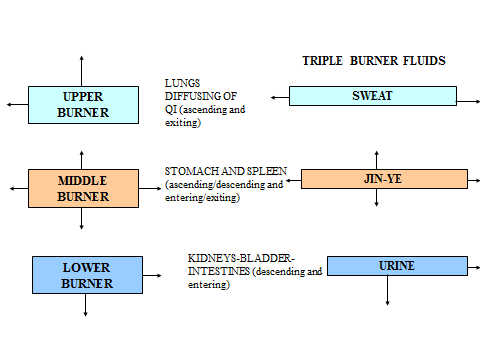 For example, in the Middle Burner, Stomach-Qi descends and Spleen-Qi ascends.Apart from the ascending-descending of Qi, physiology also includes the entering-exiting of Qi. This is a less well-known aspect of the Qi movement. The ascending-descending of Qi represents a “vertical” movement of Qi while the entering-exiting represents a “horizontal” movement of Qi. For example, in the Cou Li space (the superficial space between the skin and muscles where Wei Qi circulates), Qi goes in and out: this is an aspect of the entering-exiting of Qi. The “Su Wen” in chapter 68 says: “Without exiting-entering of Qi, there would be no birth, growth, maturity and decline. Without ascending-descending, there would be no birth, growth, transformation, receiving and storage. All organs rely on the ascending-descending and exiting-entering of Qi”. The entering and exiting of Qi plays an important role in the transformation, transportation and excretion of fluids. Journal of Chinese Medicine (Zhong Yi Za Zhi) 1998, 2, p. 73The Lungs govern Qi and Qi regulates the functions of the Zangfu. The Lungs have the function of jie zhi which means to control, to check, to moderate. This means that the Lungs “restrict” and regulate the functions of all the Zangfu. Lung-Qi descends and communicates with Kidney-Water. The Lung function of “restricting”, regulating and adjusting the functions of all the Zangfu is dependant on the descending of Lung-Qi. In pathological conditions, when Liver-Qi rises too much it impairs the descending of Lung-Qi and therefore it leads to the situation of “Left ascending too much and right not descending enough.” This leads to cough, headache, red eyes, spitting of blood, epistaxis etc. If Liver-Qi stagnates and does not rise enough, Lung-Qi also stagnates and this leads to breathlessness and a feeling of oppression of the chest, constipation, urinary retention, etc. 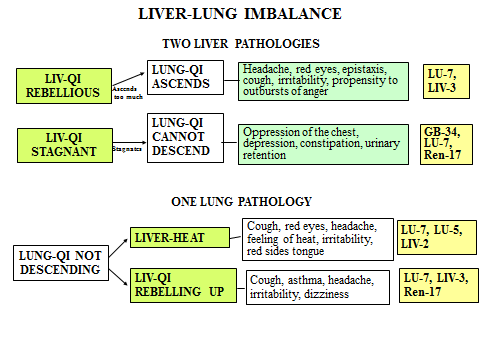 Conversely, Lung pathologies can affect the Liver, such as when Lung-Qi does not descend properly, this could lead to Heat which impairs the free-flow of Liver-Qi. This leads to cough, hypochondrial and chest pain and distension and fullness, dizziness, headache etc. Therefore the reciprocal control and regulation between the Liver and Lungs is essential for the smooth function of the Qi Mechanism. 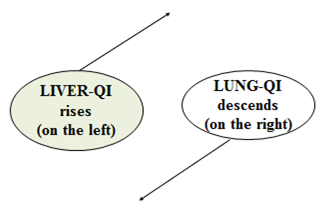 The descending and diffusing of Lung-Qi has controlling, regulating and adjusting actions on the rising of Liver-Qi, which reflects also the 5-Element control of Wood by Metal. In many Liver-Qi pathologies, it is necessary to regulate and treat Lung-Qi by strengthening the diffusing and descending of Lung-Qi. This has two effects: on the one hand it controls Heat by restoring the normal ascending and descending and, on the other hand, it frees the passages of the Triple Burner so that Water and Dampness are transformed and Liver can store Blood. Herbs that make Lung-Qi descend include Xing Ren, Chuan Bei Mu, Xuan Fu Hua, Su Zi, Hai Ge Ke, etc. When Qi rebels upwards with Heat, use herbs such as Huang Qin, Sang Bai Pi, Qian Hu, Ma Dou Ling, etc. When Fire rises upwards in chronic situations and the Lungs suffer from dryness, use Sha Shen, Mai Men Dong, Shi Hu, Pi Pa Ye etc. When Lung-Qi fails to descend and Liver-Qi ascends too much, the formula Xie Bai San, with the addition of cooling Blood and clearing Liver-Heat herbs, can restore the normal flow of Qi (using a high dose of Sang Bai Pi). In conditions of stagnation of Liver-Qi from emotional problems, besides using herbs which move Qi and eliminate stagnation, one must also pay attention to making Lung-Qi descend. 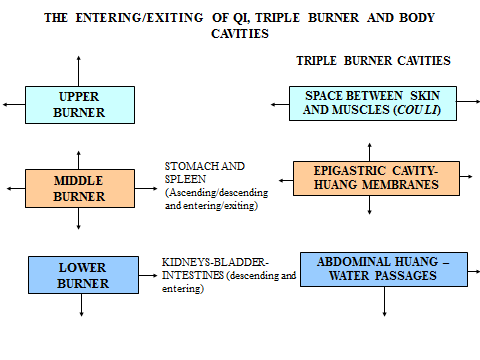 This will keep in check the ascending of Qi, regulate the Qi mechanism and promote the smooth flow of Qi in the Triple Burner. Herbs to do this include Pi Pa Ye, Xing Ren, Chuan Bei Mu, Zi Wan. At the same time, use herbs which promote the diffusing of Lung-Qi, such as Ma Huang, Jie Geng, Gua Luo Pi, etc. When stagnation of Lung-Qi has given rise to Phlegm, one must clear the Upper Burner and treat Lung-Qi with herbs such as Pi Pa Ye, Xing Ren, Gua Luo Pi, Yu Jin, Ban Xia, Fu Ling, Sheng Jiang, Zhu Li, etc.